Need a vehicle that can haul people and cargo while zipping through Midland area traffic? 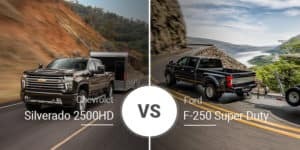 The 2019 Chevy Trax and all-new 2020 Kia Soul can handle that and more for our Bay City and Freeland car shoppers. 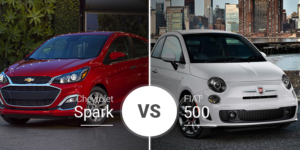 While both can handle these tasks, which one is better for your family? Find out below. The Chevy Trax went through its last redesign in 2015, so it is neither a spring chicken nor long in the tooth. Its outward appearance is about as traditional as it gets, so there is nothing to offend buyers. While some buyers may scoff at its simple appearance, this is a design for the masses. 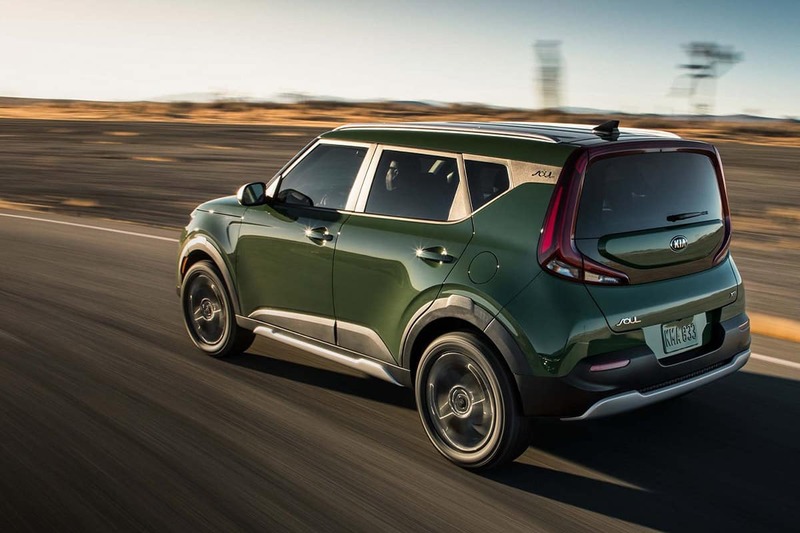 The 2020 Kia Soul is all-new, but it keeps the funky, boxy shape that has long made it one of the most polarizing crossovers on the market. That said, the Soul has been around long enough it no longer stirs up drama on the road What the redesign adds to its box-on-wheels design is a larger body, thin headlights, and all-new taillights. 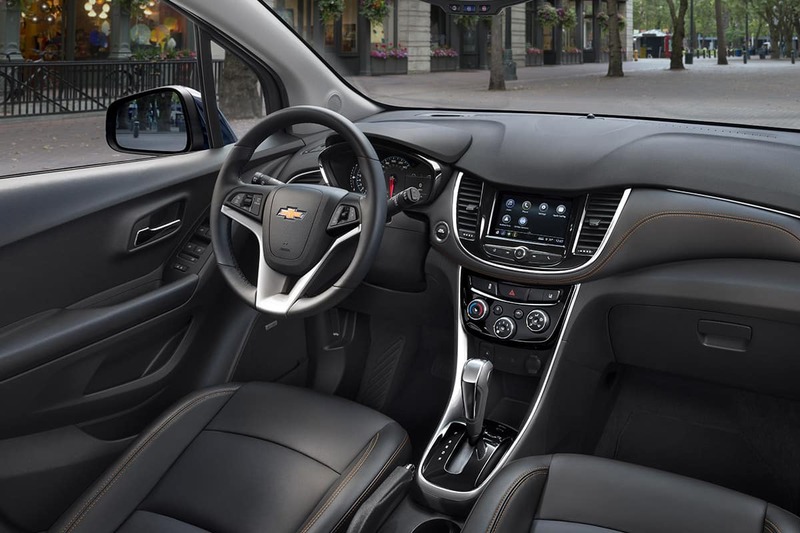 The 2019 Chevy Trax’s interior is where its toned-down styling takes a back seat to loads of curves and swoops that make it look more stylish from behind the wheel. While this may be a bit much for some buyers, the younger, more outgoing crowd may appreciate this wilder look. You’ll probably want to move up to the dressier LT trim level to maximize the Trax’s interior styling, though. 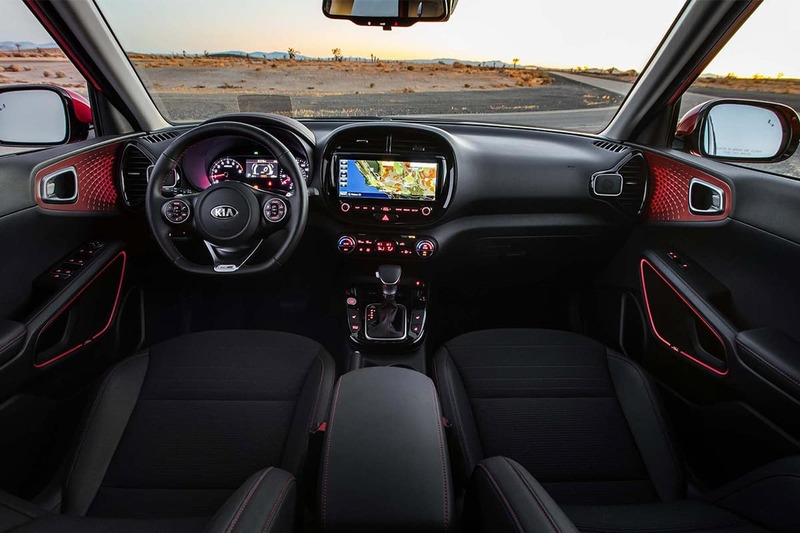 Despite its polarizing exterior, the 2020 Kia Soul’s interior is surprisingly toned down. There are still plenty of unique shapes, angles, and accents to catch your eyes inside the 2020 Soul, but it is a bit of a letdown when considering the wild suit its body rocks. 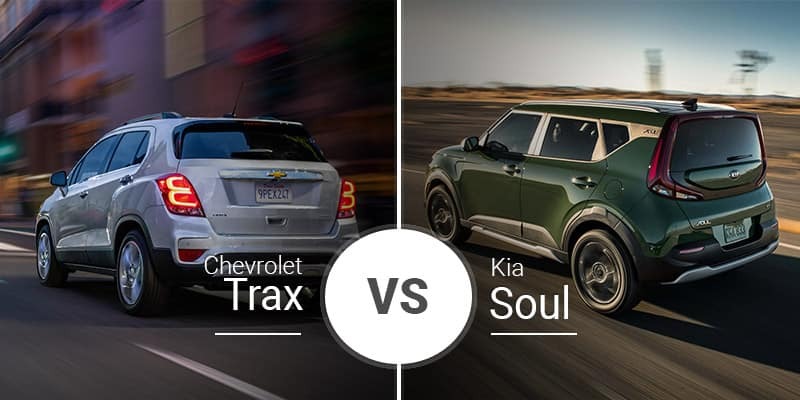 In terms of standard features, the 2020 Kia Soul and 2019 Chevy Trax share a lot of similarities, including 7-inch touchscreens, Android Auto, and Apple CarPlay. 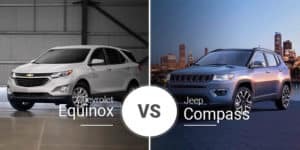 In their upper trims, the Soul pulls away a bit with its leather upholstery, upscale Harman Kardon audio system, and ambient lighting, but the Trax is not far off. Under its hood, the 2019 Chevy Trax has a single engine option: a 1.4-liter turbocharged four-cylinder with 138 horsepower and 148 pound-feet of torque. This engine pairs to a six-speed automatic transmission and standard front-wheel drive — all-wheel drive is an option — for a 9.3-second 0-to-60 jog. 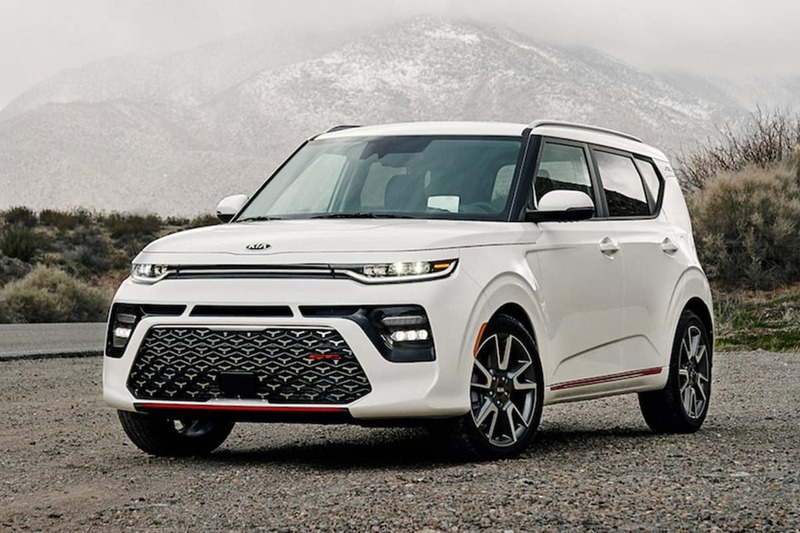 The 2020 Kia Soul has a pair of engine options, starting with a 2.0-liter four-cylinder that produces 147 horsepower and 132 pound-feet of torque. This engine pairs with a standard six-speed manual transmission or an optional continuously variable transmission. This powertrain is good for an 8.5-second run to 60 mph. In the range-topping GT-Line Turbo trim, you get a 1.6-liter turbocharged four-cylinder with 201 horsepower and 195 pound-feet of torque paired to a seven-speed dual-clutch transmission. This powertrain delivers an estimated 6.3-second 0-to-60 time. All 2020 Kia Soul models are front-wheel drive — there is no optional all-wheel drive. The 2019 Chevy Trax is available in three trims — LS, LT, and Premier — and their starting prices range from $22,295 to $28,595. The 2020 Kia Soul has a slew of trim levels: LX, S, X-Line, EX, GT-Line, and GT-Line Turbo. Their starting prices range from $17,490 to $27,490. 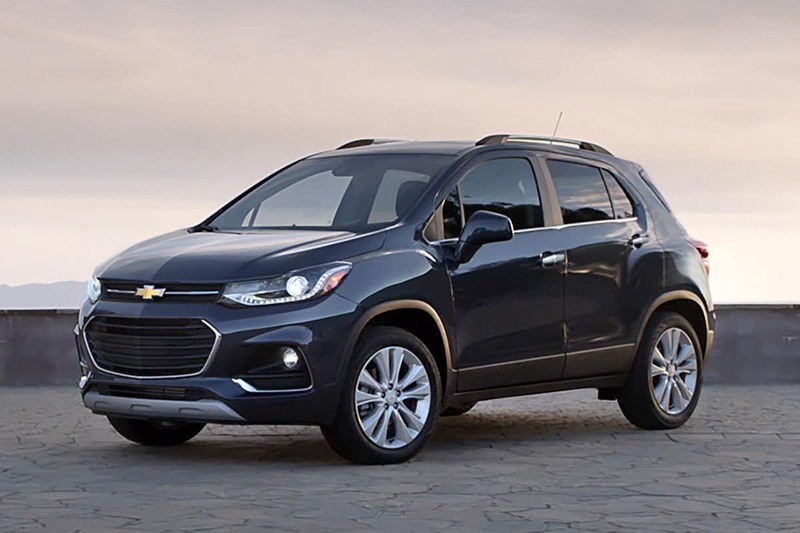 Buyers who prefer as few stares on the road as possible, the toned-down 2019 Chevy Trax is the best option for you. Need to maximize cabin room or performance and don’t mind a few stares here and there? The 2020 Kia Soul is the crossover for you. 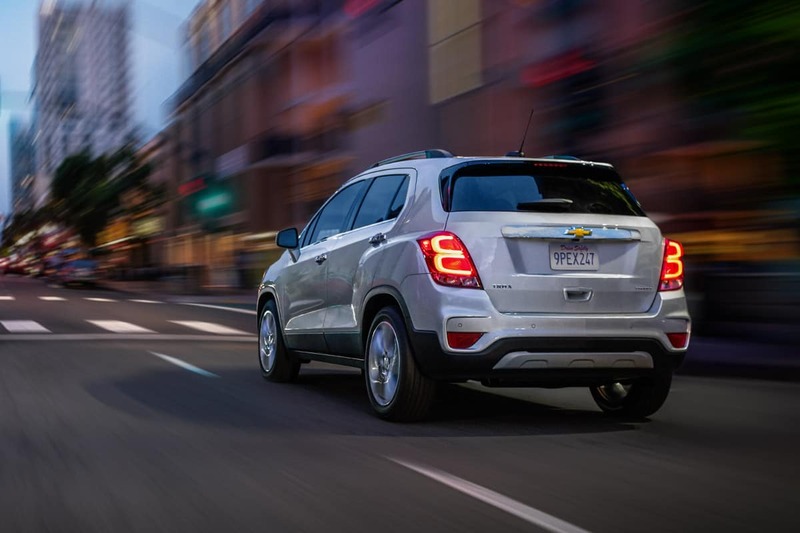 Come see what the 2019 Chevy Trax offers you and your family at Garber Chevrolet Midland also serving the Freeland and Bay City areas. Stop by today for a test drive or check out our online inventory to see what 2019 Trax models we have in our Midland area showroom today and schedule a future test drive.